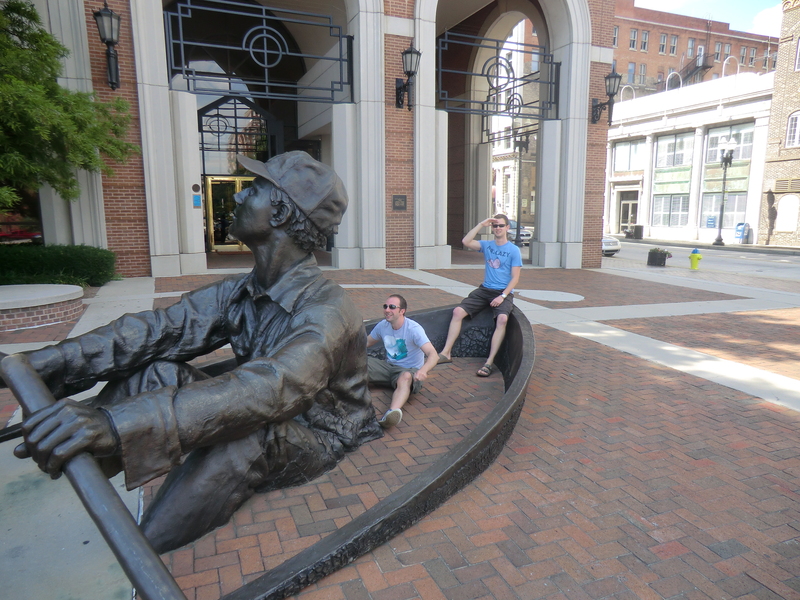 For background on this road trip please see the Atlanta and Savannah blog entries. 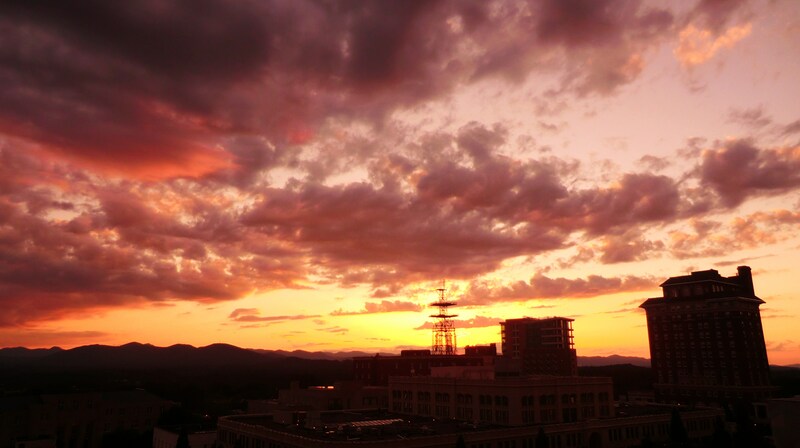 Asheville has a reputation as being one of the homes of the micro-brewery in America and it does not disappoint. A city high up in the mountains with stunning views at every turn, this is a hidden gem on the American tourist circuit. Matt and I arrived mid morning and after checking in to our hostel were on the look out for food. 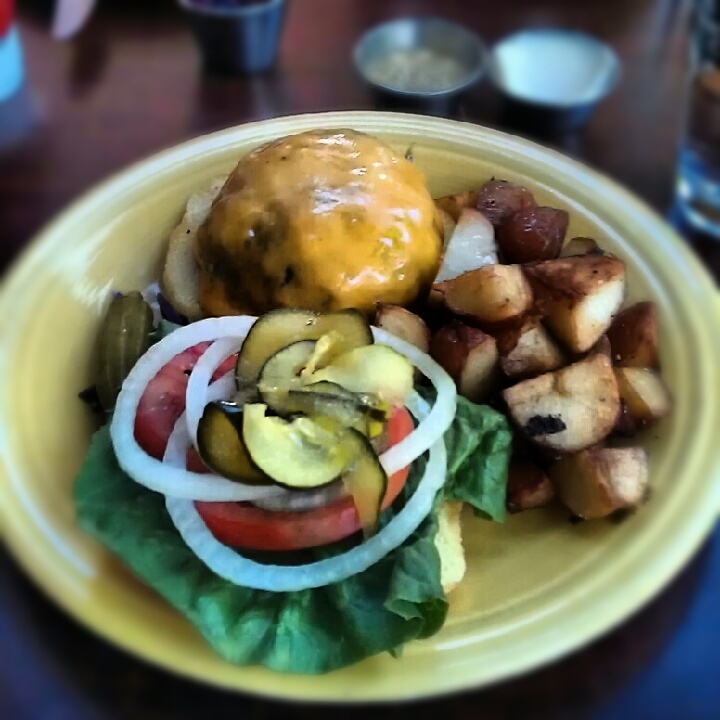 We came across the Tupelo Honey Cafe and the lunch was as gorgeous as the photos below suggest. Almost every bar has it’s own micro-brewery attached and we felt it would be rude not too sample at least one or two of the beverages on a small(ish) bar crawl. 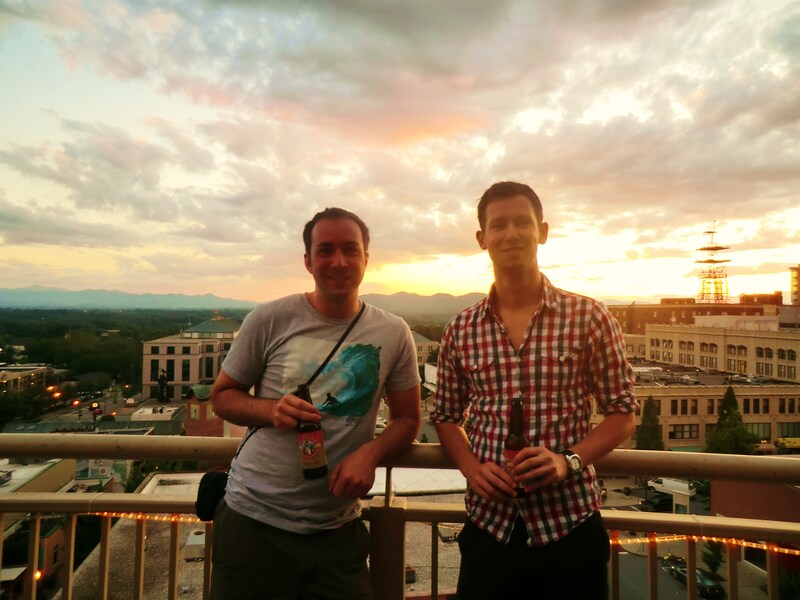 We started off at a roof top bar watching a gorgeous sunset, trying to resist the temptation to hold hands whilst doing so. The rest of the night was a blur of playing pool with locals and sampling many new beers (the jalepeno infused “Fire Escape” being a particular favourite). 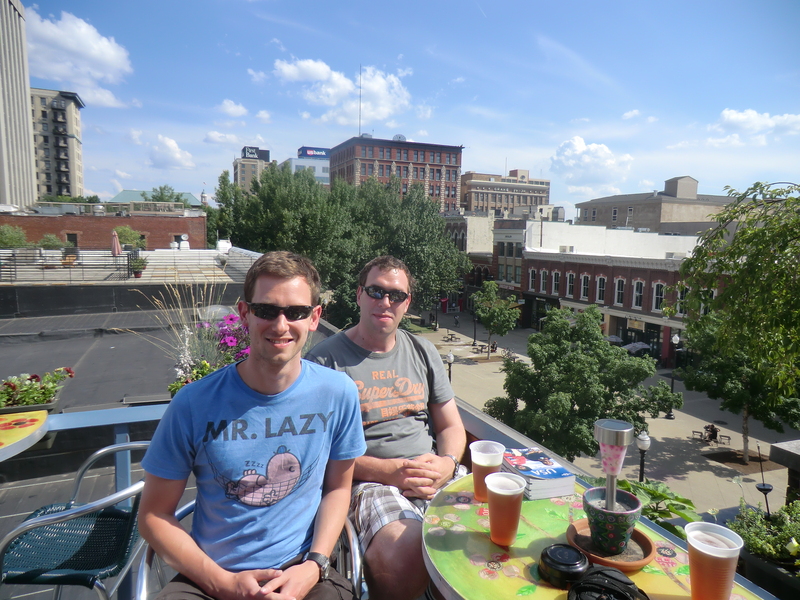 We stayed at the wonderful Bon Paul & Sharky’s Hostel and would certainly recommend them. 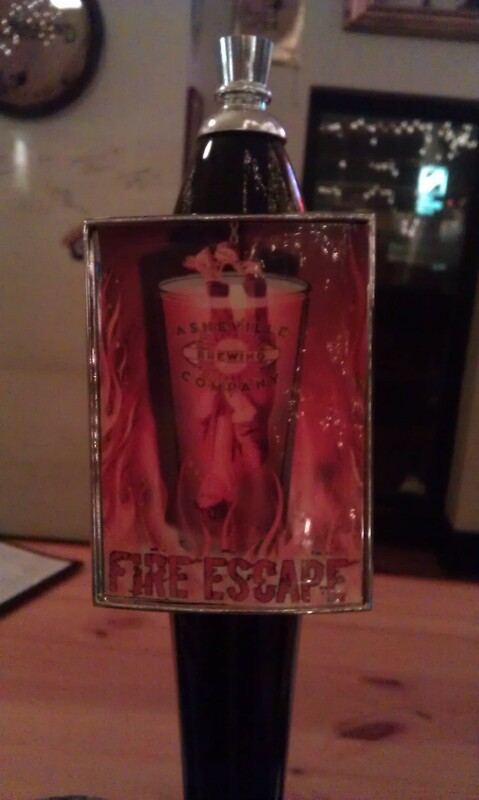 Fire Escape – jalapeño infused beer. Incredibly more-ish. 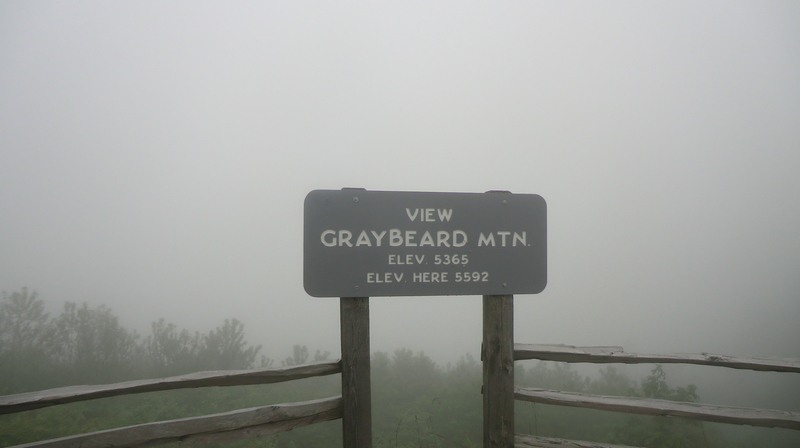 The next day we aimed for Knoxville but decided to take the scenic route via the Blue Ridge Parkway. This is a 469 mile road that travels along the mountains of the Appalachian Trial. It is regarded to be one the best drives of America, as seen from this clip from Top Gear. 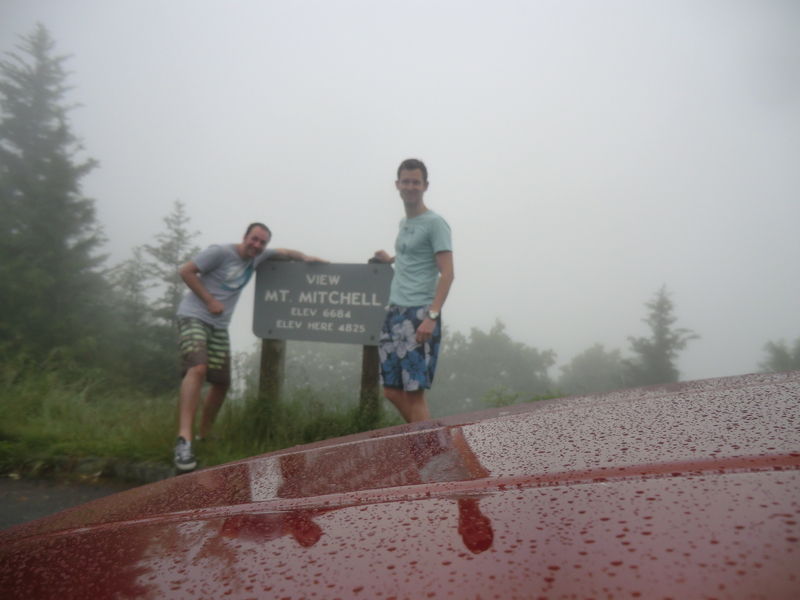 barely see the road in front of us, never-mind the views of North Carolina below us. 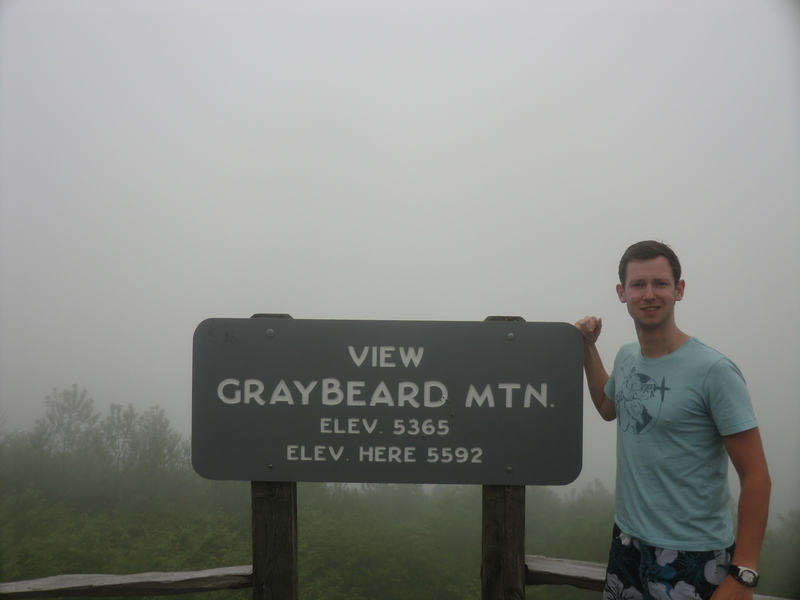 After we managed to get over the views we had seen on the Blue Ridge Parkway we aimed for Knoxville where we would be meeting up with our third traveller, Hugo. When we found him Hugo was keen to get in the holiday spirit and before long we had visited several bars, tried some local moonshine, eaten several portions of ice-cream (Hugo can’t function without it) and had found ourselves relaxing on, another, roof top bar overlooking the city and drinking pints of Yuengling. 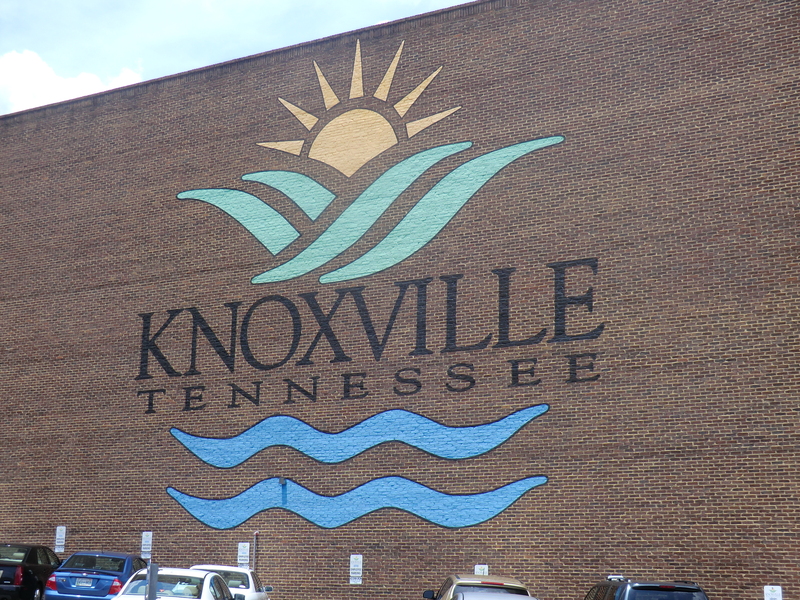 To be honest Knoxville doesn’t have a huge amount to do apart from eat and drink either in the main plaza or the “old town”. We tried to get to see a game of baseball, but the stadium is quite a distance from the city centre and we decided it wasn’t worth the taxi fare. We were basically forced into eating mega portions of pulled pork and drinking more bottles of beer by the lack of tourist attractions. 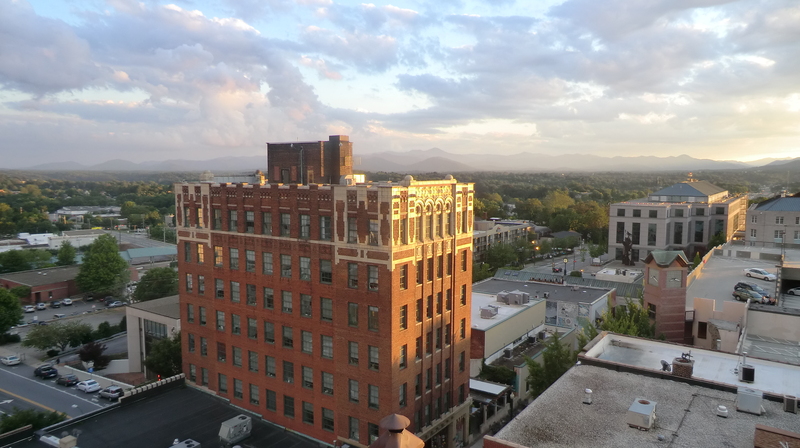 I would highly recommend Asheville, a beautiful city with welcoming residents and I’m sure that the Blue Ridge Parkway is also stunning when the weather is right. 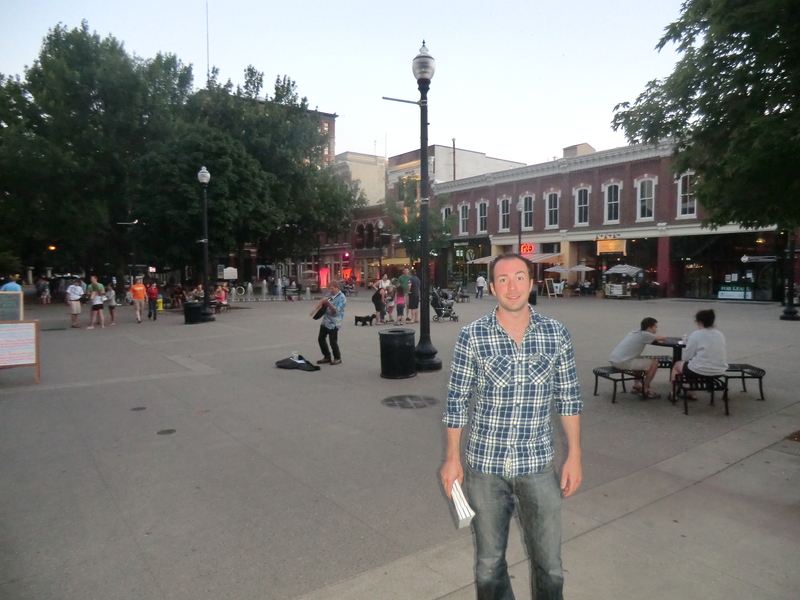 Knoxville was a bit of a disappointment but I can’t knock it for lack of beer and food. Next stop, the home of country music! Nashville, Tennessee.